It’s was almost inevitable. When a snowmobile manufacturer unveils a new trail snowmobile that intrigues a fair number of sledders, the requests come almost immediately. That’s what we heard soon after hearing about and then seeing the INDY EVO, which made its full debut last season. Aimed at folks just getting into snowmobiling as well as younger riders, the INDY EVO (with a starting price of $5,299 for the 2018-19 season) was a step up from the 120/200, sleds but not as big as the 600 class sleds. So is that the niche the new RMK EVO fits? The 2020 RMK EVO, Polaris officials say, is being built and marketed specifically to new riders. While the 120/200 sleds are fine for the little ones, there is no way they are anything mountain-related. That means the current “beginner” sled for a potential mountain rider is a 600-class sled, which is a significant investment. 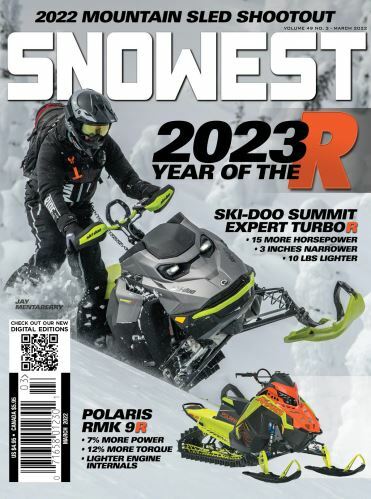 The least expensive 600 class sled is the Ski-Doo Summit Sport, with a carbureted engine (and ironically will be as close-ish to the RMK EVO as any current mountain sled), which sold for $8,499 in MY 2019. When we first saw the RMK EVO, one of our first questions was what the price tag might be. That hadn’t been determined yet, we were told. But we are guessing it will be closer to the INDY EVO price than to the Summit Sport. The RMK EVO definitely harkens back to the days of the Trail RMK (remember those?). And that is our first point as to what you need to know about the RMK EVO.